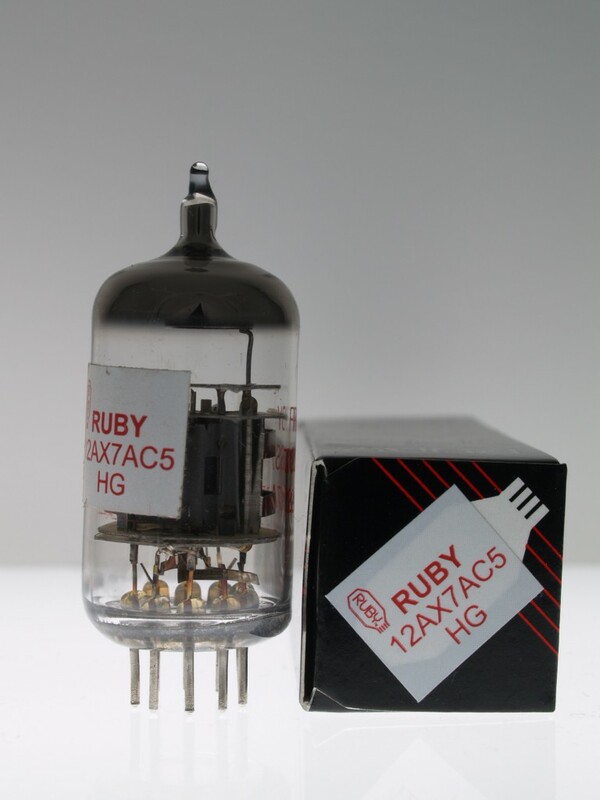 The Ruby 12AX7AC5 HG High Grade tube is the Shuguang 12AX7 9th gen tube, but distributed by Magic Parts. These are a very consistently made tube, sweet sounding, and very warm. High grade is a measuring system used by Magic Parts, which basically means the tube is better suited for amps that need more quiet tubes. This Ruby tube is a re-labeled Sino, Chinese and Shuguang - it's all the same.